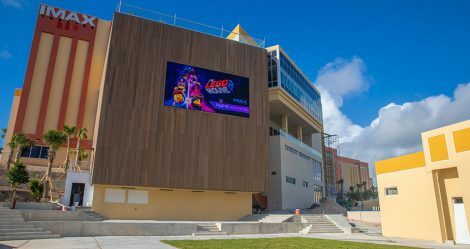 Daktronics (NASDAQ-DAKT) of Brookings, South Dakota, has partnered with AdverDia Group, in conjunction with Fusion Superplex, to install a new digital LED display on the façade of their new facility in Nassau, Bahamas. Installed late in 2018, this is the first large-format display to be seen from public roadways in the Nassau area. In green spaces and on retail campuses, Daktronics provides LED technology solutions with flexible scheduling options for content including advertising, event promotion, live videos and more. This entry was posted on Thursday, March 21st, 2019 at 14:35 @649 and is filed under DailyDOOH Update. You can follow any responses to this entry through the RSS 2.0 feed. You can leave a response, or trackback from your own site.